Please note! If you already have an account on Legacy RefWorks (orange logo), please click on the tab on this page titled 1a. Moving from Legacy to New RefWorks, which will guide you through exporting your current RefWorks folder into the New RefWorks. ​RefWorks is a Web-based bibliography and database manager that allows you to create your own personal database by importing references from OneSearch, the Library catalog, and other online databases. You can also manually input references you find from other sources, such as websites and online journals. RefWorks is a great timesaver. Once you've stored your references in RefWorks, you can easily import them while writing papers and creating bibliographies. 1) If you're new to RefWorks, click on the Create Account link. You should see a screen like the one pictured below. Important: If you had an account on our previous RefWorks system, you MUST select a new password. 4) You should now see a screen that informs you that an activation email has been sent to your Cedarville email. 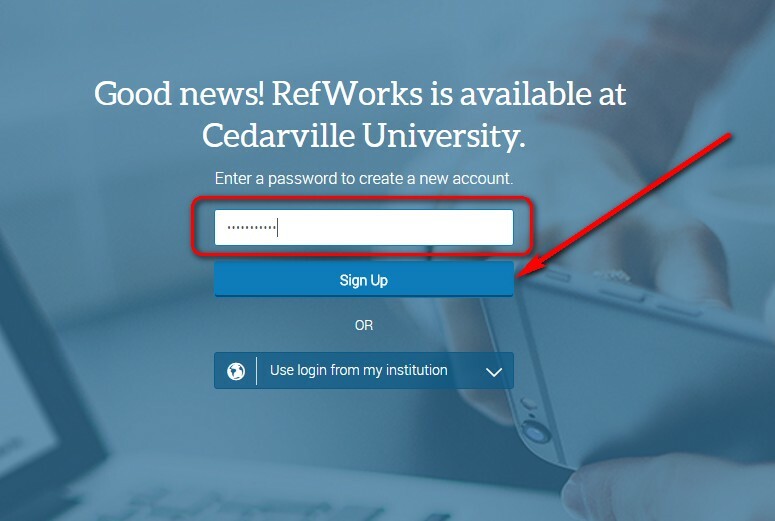 Please log in to your Cedarville email, find the message, and click on the activation link to begin using RefWorks. 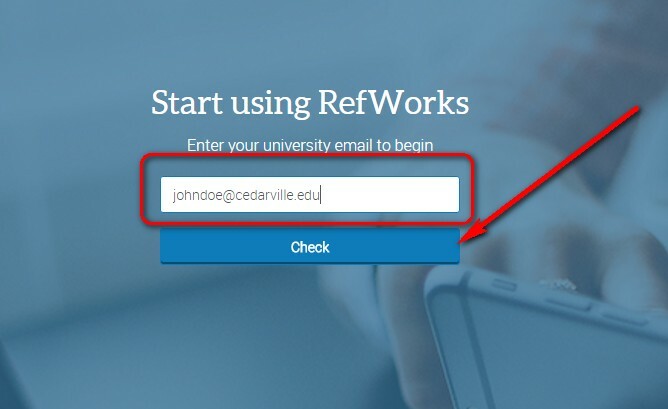 1) RefWorks will ask you some questions to customize your profile the first time you log in, such as your name, area of study or major, then status (student, faculty, etc.). Then click Next. 2) RefWorks then provides you with brief tips on using the new software. You can then click Next through the next few screens until you arrive at the Write and Cite screen. Then click Done. RefWorks setup should now be complete. Please continue to Creating Folders to begin organizing your account.